Founded in Krakow, Poland, in 2003, the Unsound Festival is a series of concerts and talks foregrounding new electronic music that has expanded into an international network. The Unsound Dislocation Project 2016-2018, developed in cooperation with the Goethe-Institut, now takes Unsound into numerous locations including Russia, Belarus, Ukraine and Central Asia as well as the UK, the US and Canada. Unsound programs have been a welcome inclusion in four Adelaide Festival programs under former director David Sefton (see my review of the 2013 music program and Gail Priest’s review of Unsound 2015), but they were limited in scale. Sefton and Unsound co-founder and Artistic Director Mat Schulz have now established Unsound as a stand-alone festival in Adelaide, the new event involving a diverse range of high-level international and local artists in concerts at Thebarton Theatre, club nights at Fowler’s Live, the Discourse Program at the University of South Australia and sound installations at the Botanical Gardens and Adelaide Railway Station. Unsound often locates events in prominent architectural spaces, and Unsound Adelaide this year opened its program with three unobtrusive but immersive sound installations totalling two hours in the tropical plant conservatory at the Adelaide Botanical Gardens. Renowned UK wildlife sound recordist Chris Watson’s 55-minute Mare Balticum-Narva Wall Mix is a blend of field recordings from the Baltic sea with the sound of waves lapping the shore, sea birds, seals and the rumble of fracturing ice transporting the listener to a very non-tropical world. Australian Leyland Kirby’s How Deep is Your Love takes the listener underwater, creating a sound world that sits between music and field recording. Rainforest Spiritual Enslavement’s (USA) work Shield Ferns/Brown Ferns Magic, commissioned by Unsound, is another gentle piece based on what are described as synthetic field recordings. Listening while studying botanical specimens is a meditative experience that focuses the mind on our perilously fragile environment. 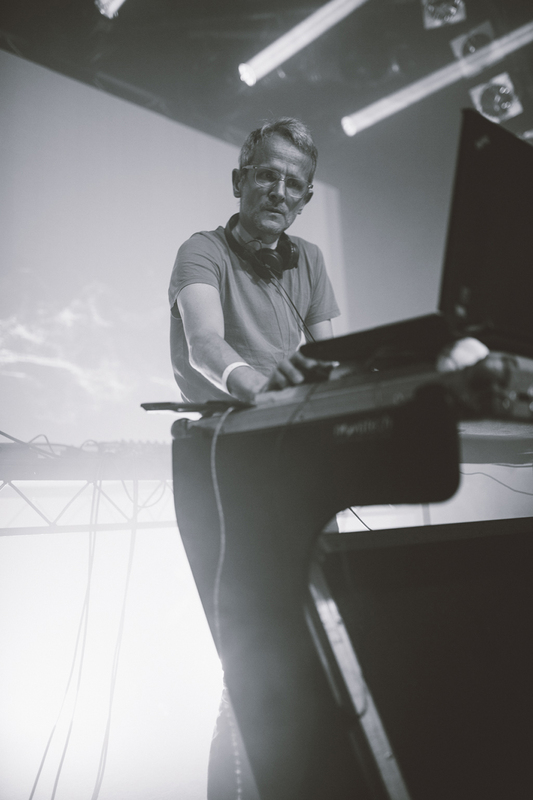 The first concert opened with a mesmerising sound and laser light show, Euclidian Drone, by regular Unsound performer Robin Fox (Australia) in which he projected dazzlingly coloured geometric shapes through haze. The visual display is synched with a densely layered composition, and in a talk the following afternoon, the artist revealed that he uses drawing software to create the imagery and takes a live feed from it to the sound system, his drawings triggering unexpected and exciting musical effects. 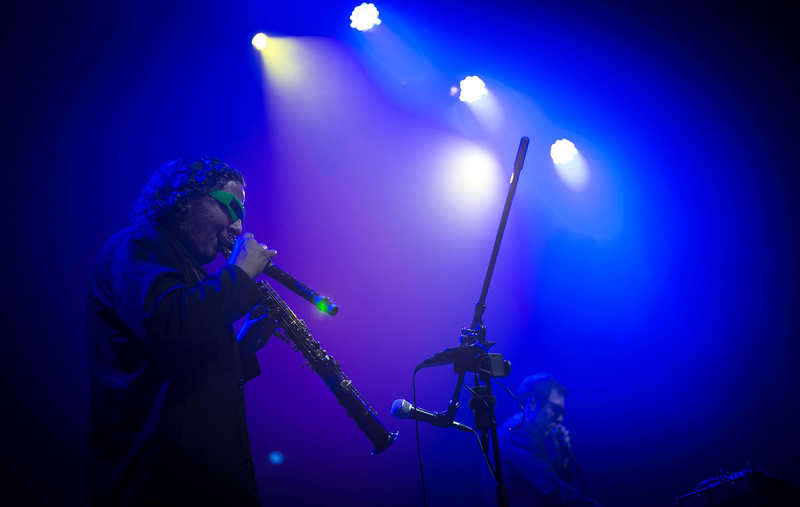 Legendary US band Wolf Eyes delivered a stunning performance, the trio now including an unnamed cellist to accompany John Olson’s array of wind instruments, maracas and tambourine and Nate Young’s vocals, samples and electronics. Blending electronic noise, vocals and acoustic instruments (Olson sometimes playing two wind instruments simultaneously), and recalling free jazz, Wolf Eyes’ music has a humorous edge and otherwise defies categorisation. 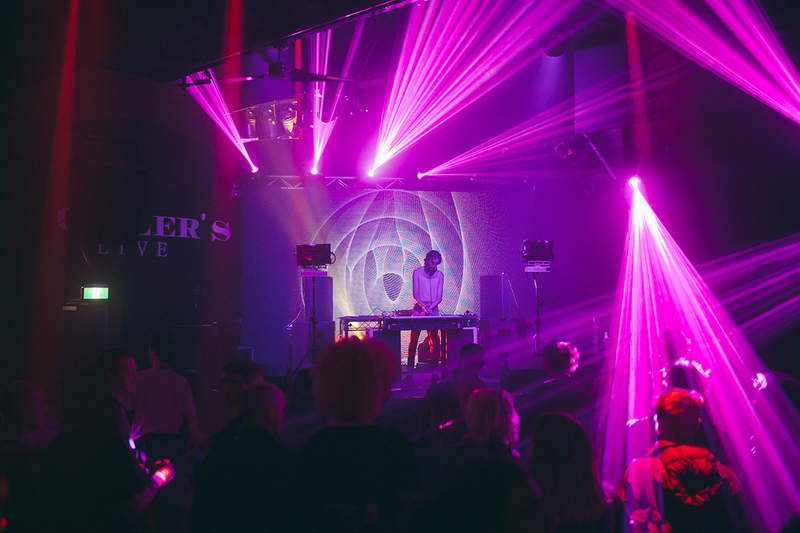 Following the concerts at Thebarton Theatre, Fowler’s Live nightclub hosted Unsound performances until 4.00 am on Friday and Saturday catering both to electronic music and club audiences. The night opened with Adelaide ensemble Club Sync — Rosa Maria, Baby Angel and Sacrifices) alternating back-to-back on the desk. 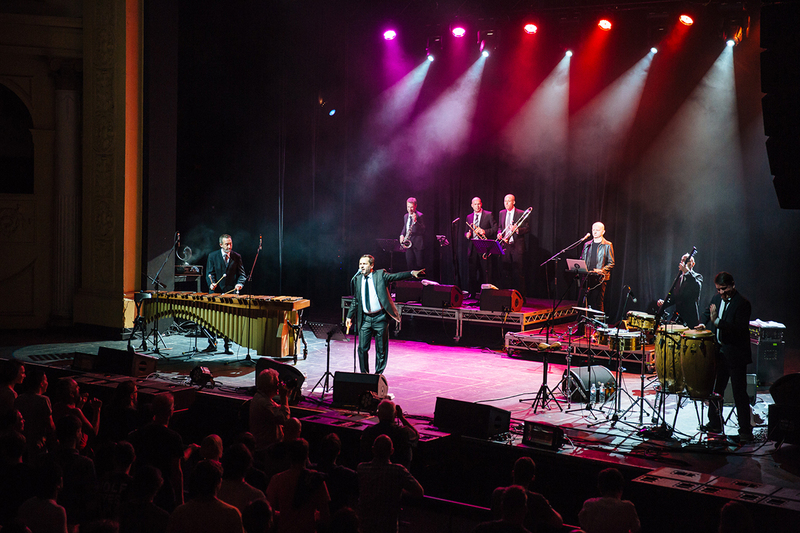 The set was highly involving, the performers successively creating individual musical languages that melded into a wonderful composition. Club culture is the engine room of much musical evolution, generating consumption and informing aesthetics. Dance brings people together, although, as Nate Young observed during his Saturday talk, “people go to clubs to be alone with other people,” perhaps a characteristic of contemporary society. Sometimes the music is overly loud, even disturbingly nihilistic, but it creates a community to which people relate and there is a feeling of being-in-the-present in such relational activity. Importantly, Unsound acknowledges the culture that has emerged in parallel with the evolution of instrumental and communications technologies dating back to disco. The evening began with an exquisite performance by classically trained pianist and church organist Kara-Lis Coverdale (Canada) on electronics. In her talk later, she indicated that most of her sounds are sampled from a variety of organs, including some dating back centuries. Her set was like an extended, deeply layered organ symphony, recalling the powerful organ symphonies of French composer Charles-Marie Widor (1844-1937) as well as choral symphonies. 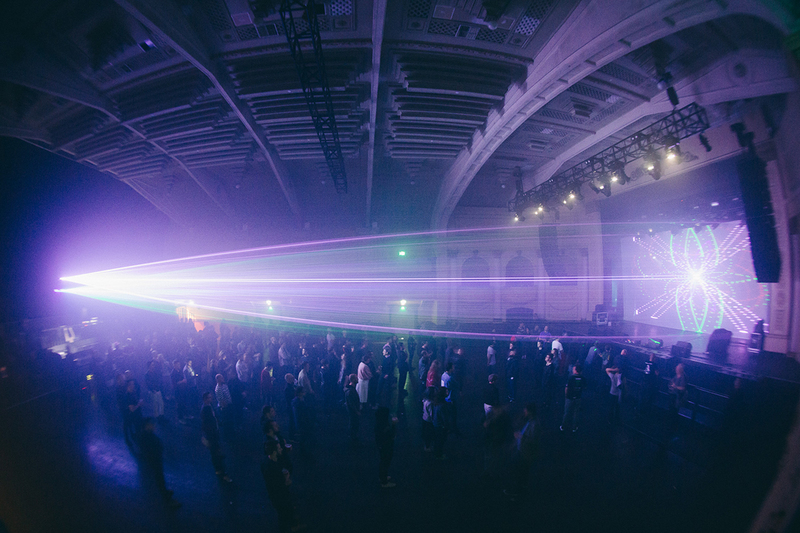 Thebarton Theatre was transformed into a cathedral. Berlin-based, American musician Holly Herndon’s set contrasted with the long instrumental sets of many Unsound performers, being built around shorter songs and creating a hybrid pop-electronica sensibility, the songs articulating concerns about the impact of technology in everyday life. The video for Chorus, from Herndon’s 2015 album Platform, shows desks on which sit the laptops that she suggests contain and transmit one’s existence. The video accompanying her Unsound set shows figures floating about in virtual space, another metaphor for contemporary life. As she and band-member Colin Self sang, Mat Dryhurst overlaid the video projections with a live feed of SMS-style texts such as, “leave facebook srsly its ruinin yr life,” and an image of Dryhurst captured by his laptop camera, as if he were carrying on a live conversation with the audience. As the first performance of the evening was about to begin, I overhead an audience member behind me remark, “A grand piano at an Unsound concert? That’s unheard of!” Unsound has traditionally focused on electronic music, so the piano did seem unusual, but bringing together a trio comprising Chris Abrahams of the Necks (piano), Oren Ambarchi (guitar and electronics) and Robbie Avenaim (percussion, including his lap-top driven motorised percussion) turned out to be a marriage made in heaven. The effect was magical, like a Necks concert glistening with the complex sonic colours generated by Ambarchi’s instrumentation. The performance by Señor Coconut was a significant innovation. Sunday’s concert embodied two essential characteristics of Unsound — the willingness of the artistic directors to experiment and create a program appealing to a wide audience, and the capacity of musicians and composers to collaborate to create wondrous new musical forms. Señor Coconut is German artist Uwe Schmidt (who has appeared under the name Atom™ in a previous Adelaide Unsound program) on electronics with an ensemble comprising brass, percussion, bass and vocals. They rework as cha-cha dance music such classics as The Doors’ “Riders on the Storm,” The Eurythmics’ “Sweet Dreams (Are Made of This),” and Deep Purple’s “Smoke on the Water,” as well as several Kraftwerk numbers, humorously subverting the character of the originals. The music is a delight and suddenly audience members are no longer dancing alone but joyously engaging with one another. Unsound Adelaide’s Discourse Program addressed the revolutionary impact of new technologies not only on music production, performance and aesthetics but on distribution, consumption, monetisation and income generation. Other themes included the difficulties of being a travelling performer (including the carbon footprint that travelling generates), instrument building, the social impact of new technologies and the communities that music creates. Adelaide’s Gabriella Smart opened with her paper, From Daleks to Noise, by summarising the work of Tristram Cary, a pioneer of electronic music in the UK in the 1950s and 1960s and a composer of film scores and incidental music for Dr Who who relocated to the University of Adelaide in 1974. Without pioneers such as Cary, the kinds of music heard in Unsound might never have developed as they did, Smart noting that much needs to be done to preserve Cary’s legacy. University of Adelaide lecturer Christian Haines demonstrated the VCS3 synthesiser which was co-designed by Cary and used by many notable musicians. In a discussion on communities, Giuseppe Faraone of Club Sync joined Colin Self, who performs with Holly Herndon and is involved in community practices in Berlin, and Adelaide artist Matea Gluscevic who manages WildStyle which supports emerging artists and performers. They discussed the need for and creation of cultural centres, Faraone describing how Club Sync facilitates musical development through the provision of a performance venue and a record label. Unsound believes it has an important community engagement role, moderator Gosia Płysa (Unsound’s Executive Director Global) indicating that Unsound can now engage more directly with Adelaide music communities as an independent festival. Robin Fox moderated a revealing discussion on technology and performance with Nate Young of Wolf Eyes, Kara-Lis Coverdale and Errorsmith (Erik Wiegand, Germany), who has created his own synthesiser, Razor. The discussion examined issues such as the definition of electronic music, Coverdale pointing out that organ builders throughout history were designers of sounds. The discussion also raised the question of the extent to which some performers actually perform or, as Nate Young suggests, just press “play;” many performers such as Wiegand set up broad sonic parameters and then work within those when performing. Musical quality was highlighted, Fox acknowledging that some performers substitute high volume for compositional strength. David Burraston (aka Noyzelab, Australia) gave a lecture on DIY construction of budget modular synthesisers and passed sample components around the audience, revealing how Unsound’s musical magicians do their tricks. There remains strong interest in DIY modular construction, despite the advances made in midi-controlled software such as Ableton. In her interview with Gosia Płysa, Holly Herndon spoke of how technology and social media shape our lives and how she addresses these issues in her music. The artist expressed her mixed feelings concerning social media, which she acknowledges can bring people together, but has discontinued her personal Facebook page while maintaining a professional one. As well as addressing issues relating to technology and social media, Herndon has produced a track intended to induce autonomous sensory meridian response (ASMR). She indicated her interest in the online community evolving around ASMR. And she revealed that the images of desktops in her videos were drawn from invited public submissions — they thus constitute a relational artwork, such activity clearly an important characteristic of her work. Finally, she acknowledged Ableton’s contribution in developing compositional platforms and suggested she and they were almost collaborators. Ableton has posted Herndon’s 2016 talk on her compositional process on YouTube. The Discourse Program concluded with a talk by Mat Dryhurst, titled “Ideologies on the Blockchain,” addressing the use of emergent technologies to support online music. He highlighted the disruptive and perhaps democratising potential of cryptocurrencies to support Soundcloud. Herndon, who has taught at Stanford, and partner Dryhurst, who teaches at New York University, added an important theoretical dimension to the Discourse Program that contextualises the evolution and consumption of contemporary music and especially emphasises the need for consumers to be wary of an online world dominated by commercial interests and surveillance. Smart and Haines’ talk on pioneer Tristram Cary and Dryhurst’s discussion of the technological future bookended the evolution of electronic music production, distribution and consumption over the last 60 years. 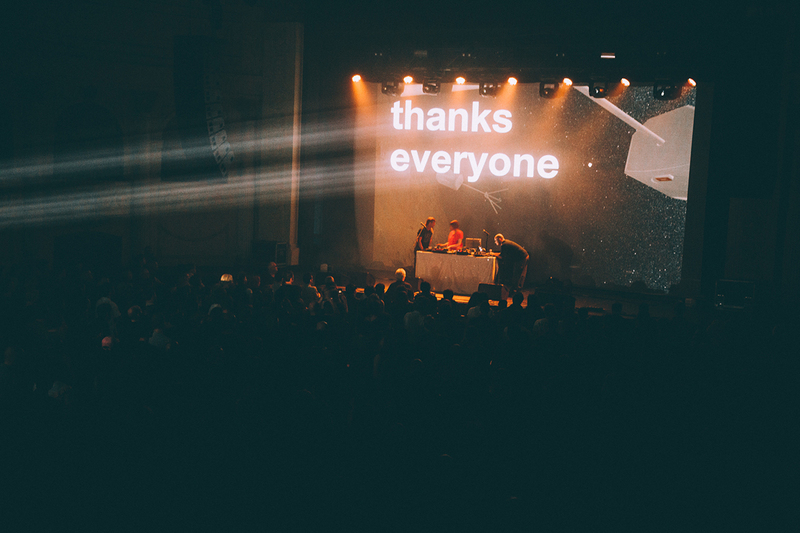 Unsound Adelaide was outstanding in its conception and delivery, adding a crucially important dimension to musical programming in Australia. With a recurrent Unsound, Adelaide is now more firmly positioned in a growing world-wide circuit that focuses on and stimulates experimental composition, performance, technical development, discussion and criticism and supports local performers and communities. It is to be hoped that Unsound continues to flourish. The Discourse Program was co-presented with the University of South Australia’s Bob Hawke Prime Ministerial Centre. Podcasts of the talks are expected to be available soon.